In the early decades following the Revolution the Bowery saw the rise of brick-faced Federal style homes. While many were upscale residences, the house at No. 206 Bowery was constructed with a shop on the first floor and residential space above for its merchant family. Completed around 1810 the two-and-one-half story building included the expected elements of the Federal style—Flemish bond brickwork and a peaked roof with high dormers. Shortly thereafter Messerve was gone and Walter and Sarah Smith Keeler lived at No. 206 Bowery. On August 9, 1828 their first child, William Ervin Keeler, was born in the house. Two years later his sister, Cornelia, arrived. In 1840 John Cooper replaced the Keeler family at No. 206. 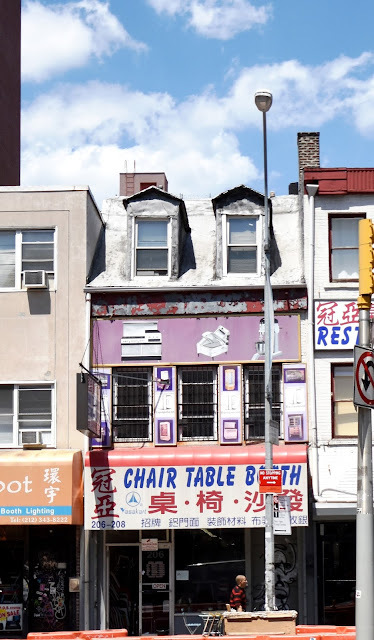 His family would live upstairs for more than a decade while he operated his “fancystore” below. Feminine shoppers dropped in to purchase a variety of items, from sewing needs to gloves and hosiery. Like Keeler, he shared the ground floor with another business and in 1841 Andrew Oakley listed his dentist office here. Cooper would remain here at least a dozen years. Then, by 1854, Thomas Bruns ran his engraving shop here, sharing space with William Wood’s umbrella and parasol store. While Wood continued selling his umbrellas here at least until 1867, C. Casey’s “Ladies’ Dress Trimmings” had replaced Bruns by that year. 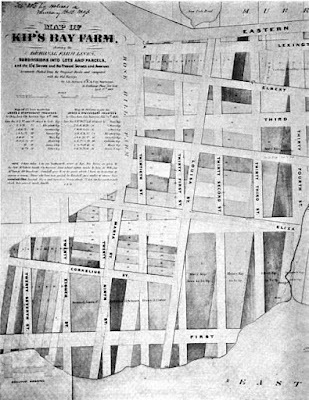 The Bowery neighborhood was still respectable in the decade following the Civil War, despite the influx of immigrants into the area. In the 1870s M. Freeman was a merchant tailor here. Like their female counterparts, the dressmakers, merchant tailors catered to the upper classes. But within the decade things on the Bowery changed. The upper floors of No. 206 were altered to become a lodging house. Unlike boarding houses, which provided meals, or even rooming houses which offered common space like a parlor; lodging houses were simply a place to sleep. 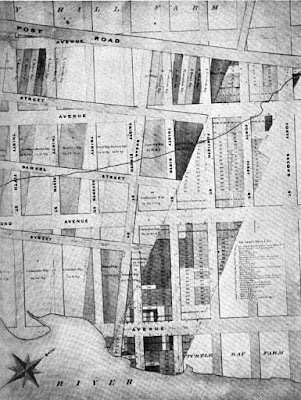 In 1886 the Third Annual Report of the Bureau of Statistics of Labor explained “All that is required is that the lodger be not too offensively unclean, or so drunk as to make trouble and bring in the police.” It noted “Most of the upper Bowery places are in good order, and patronized mostly by street salesmen and clerks, whose small wages will not admit of better quarters.” The Report showed that 75 men could be accommodated at No. 206 Bowery. Each would pay 25 cents per night. Berman moved his drugstore to Amsterdam Avenue by the 1920s and the Bowery store saw a string of divergent stores. Hebald Bernhard’s jewelry store was here in 1909; The Sterling Lighting Appliance Co., Inc. in 1918; and the Gold Sign Company in the first years of the Depression. Above the Gold Sign Company tenants like 28-year old John McLean rented rooms. Like many down-and-out Bowery denizens during the Depression, he applied for $5 relief from the Association for Improving the Condition of the Poor. On November 16, 1935 he presented letter of recommendation from an officer of The New York Times, on the newspaper’s letterhead. The letter was signed by J. P. Anderson and introduced the bearer as Reginald J. Iverson, former “chief radio telegrapher” for The Times. The problem was that the officer was “non-existent,” according to officials of the newspaper, and J. P. Anderson was still employed there. Instead of receiving charity, McLean left the office in handcuffs, held in $1,000 bail on forgery charges. By 1939 Anthony Casabana conducted “a combination barber school and barber shop” in No. 206 Bowery, according to the Industrial Bulletin that year. The Tri-City Barber School would remain in the building at least through 1946. Also in the building at the time was Ace-Hy Plastics Co. which sold cheap novelties. Its key chains, intended as “prizes, premiums and souvenirs,” dangled “Scotties, skulls, boxing gloves, fielder’s mitts” and other items. The buildings on either side of No. 206, constructed at about the same time, have suffered more severe alteration. The Bowery neighborhood became the restaurant supply district in the last quarter of the 20th century. Today No. 206 Bowery is overwhelmed in tawdry signage above the modern storefront. And yet the personality of the Federal structure survives after more than two centuries. Political and social unrest in the German states prompted thousands of immigrants to settle in New York City beginning in the late 1840s. By 1855 only Berlin and Vienna had larger German-speaking populations. The new citizens clustered on the Lower East Side, creating what would become known as Kleindeutschland, or Little German. In 1857 Rev. Bonaventure Frey, a Capuchin priest, founded the Church of Our Lady of Sorrows for the German Catholics. Thirty years later The Evening World would comment “In those years immigration had begun to increase to such an extent that its effect was very appreciable, especially in the east side district.” Rev. Frey’s new congregation was original an offshoot of St. Mary’s Roman Catholic Church. The New York Times later remembered “the first parish mass was said in a billiard room at 121 Pitt Street.” But within a decade its separation from St. Mary’s was authorized by Archbishop Mc Closkey “who saw and appreciated the needs of the German Catholics in that part of the city,” as explained by The World. Three lots were purchased on Pitt Street, just off the corner of Stanton Street, in 1867 and German-born architect Henry Engelbert was hired to design a permanent church building. The cornerstone was laid on August 15, 1867. Completed in 1868, the structure exhibited a jumble of styles, the effectiveness of which can easily be argued. On Sunday, September 6, 1868 Archbishop John McCloskey dedicated the new church, which was capable of seating 1,200 worshipers. Apparently not overly-impressed, the New York Herald gave the event a single sentence. The newspaper was more moved six months later when the organ was dedicated on April 30, 1869. It was built by Felix Barckhoff, who had arrived in American from Westphalia, Germany just four years earlier. The Herald remarked “This pretty little church, in Pitt Street, was crowded to its utmost capacity last night.” The evening featured several choral groups “with several well known artists,” and solo performances on the instrument. While the church was widely known for its German congregation; the funerals of Irish immigrants were frequently held here; possibly because the deceased had no church of their own. In October 1873, for instance, the funeral of Mary Ronan, “wife of Michael” was held at Our Lady of Sorrows. She was a native of Limerick, Ireland. And two months later Patrrick McGill’s funeral was held in the church. He had come from County Donegal. By the 1890s another immigrant group, the Italians, was edging into Little Germany. Although services in Our Lady of Sorrows were still celebrated in German, the new arrivals often dropped into the open church to pray. One of these was Michael Marricini, who stopped in on the afternoon of November 23, 1893. A slip of paper was on the pew near the infant, on which was written “Anna Skimbaer, Katolik.” The little girl was wearing a polka dot dress. Little Anna was taken to Police Headquarters. The neighborhood continued to change and Our Lady of Sorrows adapted to meet the needs of its new congregants. By March 10, 1966 when the basement of the church was used for a meeting of the Committee of Welfare Families of the Lower East Side, English and Spanish had replaced German and Italian. Today, other than an ill-advised coat of paint over the brick, Henry Englebert’s church is little changed since it opened in 1868. Now known also as Nuestra Senora de los Dolores, it offers masses in Spanish as well as English. And it continues to serve the newcomers to America as it did nearly 160 years ago. The turret window panes would have originally been curved to conform to the rounded shape. William Earl Dodge Stokes was as colorful as he was wealthy. For decades the multimillionaire would shake society with his marriages, divorces, law suits, an apparent illegitimate child and his being shot by a rebuffed actress. But he is also best remembered for his tireless development of the Upper West Side. Stokes envisioned Broadway (known as The Boulevard at the time) as rivaling the fashionable Champs Elysees in Paris and his residential structures in the neighborhood followed suit. In 1889 Stokes’s architect of choice was Joseph H. Taft; and he was being kept busy. That year, in March, Taft worked on designs for 20 upscale houses on the west side of West End Avenue, between 86th and 88th Street; and within a few months he designed five more on the opposite of the Avenue, Nos. 560 through 568, between 87th and 88th Street. That last project, completed in 1890, was anchored by No. 560 on the northeast corner of West End Avenue and 87th Street. The brick and stone mansion rose four stories above a high basement and was decorated with deeply-carved panels, elaborate Flemish Renaissance dormers which nestled into the steep tiled roof and engaged towers which terminated in bell-shaped caps. While the entrance was centered on the 100-foot long 87th Street side; the residence took the more impressive West End Avenue address. Despite the narrow West End Avenue width, Taft managed to squeeze in a second tower. The socially-mismatched couple eventually won over the support of Peter’s uncle, John Gilsey; the first step in the family’s acceptance. By 1901 Peter Gilsey was listing his home address as No. 560 West End Avenue. The couple would stay in the mansion until 1905. The array of sumptuous carvings culminated in the gable panel. 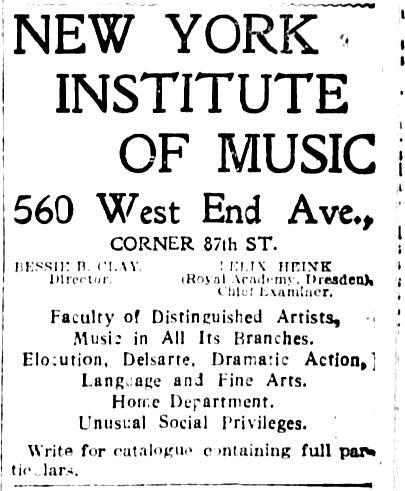 Well-known and respected in the music world, Bessie Clay’s facility offered musical instruction by some of the nation’s preeminent instructors. Students from out of town boarded in the house as well, the New-York Tribune noting on September 24, 1905 “The Institute also offers special home care and social privileges to resident students.” By the time of its opening, the school’s name was changed to the New York Institute of Music. Among the esteemed faculty was violin instructor Victor Kuzdo, who had trained internationally-known concert violinists like Efrem Zimbalist. Bessie Clay’s relationship with the violinist changed from professional to romantic and in 1910 she transferred title to the mansion to Kuzdo. The Evening World reported “She turned completely over in the air and crashed through a skylight over the swimming pool in the basement. The girl was found lying half in the water, on the edge of the pool.” Doctors held out little hope of her survival. It seems that Victor smelled profit in the West End Avenue mansion when the Wittnauer Realty Company began buying up the other residences on the block to build a 12-story apartment house. But greed got in the way of his plans. The New York Times explained that the “builders tried to buy the dwelling…to incorporate in the site, but they figured that the price was prohibitive.” Kuzdo’s plans to move the school to Riverside Drive fell through. The progression of Victor’s and Bessie’s relationship was complete by 1916. Musical America mentioned on May 13 “Mrs. Victor Kuzdo, nee Bessie Clay, was hostess at a studio musicale at the New York Institute of Music, 560 West End Avenue on Friday Evening, May 5. Victor Kuzdo sold No. 560 West End Avenue to Helen B. Warrington that year. He had priced it at $75,000—in the neighborhood of $1.7 million in 2016. In return he negotiated a four-year lease on the property for the school. At the termination of the lease, the New York Institute of Music vacated its home of nearly two decades. The mansion was converted to 12 “high class” apartments. 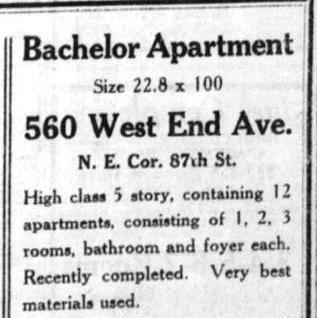 An advertisement on September 19, 1920 offered “non-housekeeping 2 and 3 rooms, bath and foyer…brand new.” Rents were placed at between $1,800 and $2,300 per year. The description of “non-housekeeping” notified potential tenants that there were no kitchens. 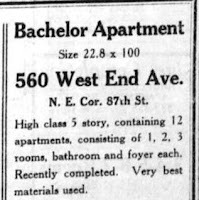 It was a condition that prompted the owner to offer them as “bachelor apartments” by 1922. Despite the building’s repeatedly being sold and resold—in 1922, 1929, 1939, 1945 and 1946, for instance, little was changed to the exterior other than the stoop being removed and the entrance lowered to street level. The last remnant of W. E. D. Stokes’s grand block of homes happily survives because Victor Kuzdo's attempt to squeeze a developer backfired. The stoop was removed during the 1919 renovation to apartments. Jacobus Hendricksen de Kype was born in Amsterdam on May 16, 1631, just four years before his family came to America. At just 16 years old he was a clerk in the New Amsterdam Provincial Secretary’s office, and by December 1649 was acting clerk in Peter Stuyvesant’s Council. Kip resigned that post in 1657 to devote himself to the brewing business and maintaining a general store. Although he was prominent in the attempted resistance against the British in 1673, he was appointed to work with the victorious English to restore order; one of six of “the wealthiest inhabitants, and those only who are of the Reformed Christian Religion" so chosen. On March 8, 1654 Jacobus, who by now went by the anglicized name Jacob Kip, married Maria De La Montague. They initially lived in Kip’s house on the south side of Stone Street. In 1660 he purchased a larger residence on De Princes Graft (Broad Street). Wealthy New Yorkers maintained summer estates with extensive gardens where river breezes relieved the heat. 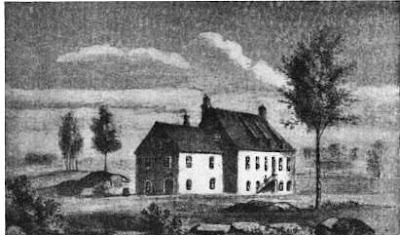 Immediately after his marriage Jacob Kip purchased “a suburban plantation of some 150 acres on the road running towards Kingsbridge, about 4 miles from the City Hall,” according to Frederic Ellsworth Kip later. The estate was known as Kip’s Farm and abutted the Murray Hill estate of Robert Murray to the west and the Beekman estate to the north. Only one of the Kip children would produce an heir. Samuel, who married Margaret Ryckman, passed the Kip’s House to his eldest son, Jacobus, who was baptized on April 18, 1706. Jacobus died on October 1, 1773, not living to see the most colorful period in the history of the family home. Not only was General George Washington entertained in the house, he used it briefly as his headquarters during the Revolution. The house and its grounds were the scene of what was perhaps Washington’s most humiliating episode of the war. Historian William L. Stone in his 1908 History of New York reported that following the Battle of Long Island in September 1776, Sir Henry Clinton led his troops across the East River to the Kip’s Bay Farm. The American soldiers fled in terror even before the British landed. The Kip House was the scene of another important episode during the Revolution. 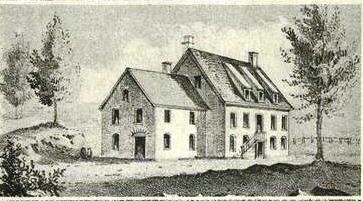 Colonel Williams of the 80th regiment was headquartered in the house in 1780. On the night of September 19 Williams gave a dinner for Sir Henry Clinton and his staff. Among them was Major John Andre. Historian John Lossing Benson wrote in 1860 “It was his last dinner in New York.” The following day Andre left the city to meet General Benedict Arnold. Washington returned at least once and received an impressive gift, at least for the time. Sometime shortly after Washington's inauguration, Dr. Francis recorded "On the old road towards Kingsbridge, on the eastern side of the island, was the well-known Kip's Farm, pre-eminently distinguished for its grateful fruits--the plum, the peach, the pear, and the apple--and for its choice culture of the rosaceae. Here the elite often repaired, and here our Washington, now invested with Presidential honors, made an excursion, and was presented with the rosa gallica, an exotic first introduced into this country in this garden--fit emblem of that memorable union of France and the American colonies in the cause of Republican freedom." The article was almost accurate. In fact 35th Street was only on paper this far east at the time. And it ran directly through the Kip's House, at approximately No. 308 and 310 East 35th Street. 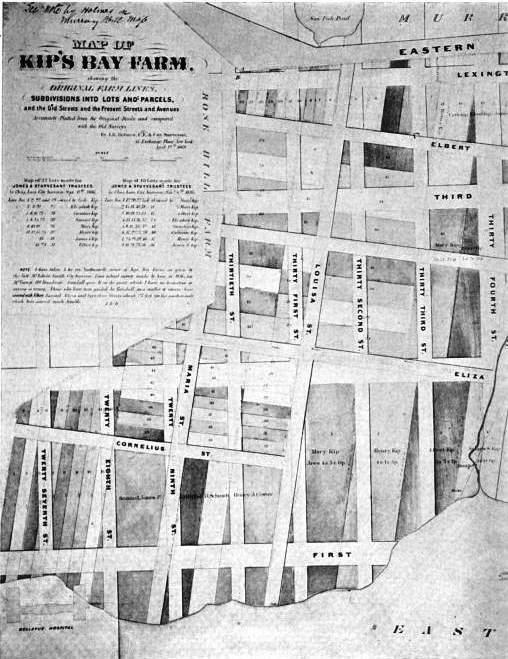 So when the city planned its extension in 1851, there was a problem. And with little fanfare and apparently no protest, the problem was solved by demolishing the 200-year old structure. A Kip ancestor, Mandeville Mower, remembered the carved Kip coat of arms over the main entrance in a letter to The New York Times on March 10, 1898. "Sad to say, this stone was probably destroyed when the house, said to be the oldest in the city at the time, was demolished." On April 4, 1920, seven decades after the fact, the New York Herald flatly denounced the destruction. 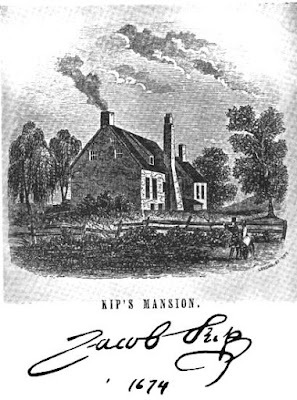 "In 1851 Jacob Kip's house, in what was called Kipsborough, was torn down by some vandal who didn't care that he was destroying what was then the oldest house on Manhattan Island." 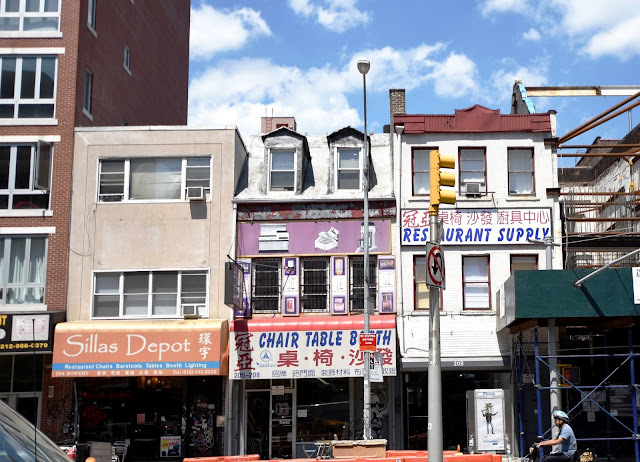 That same month The New York Times noted "It was the last of the old 'Bouweries' to remain...Today Thirty-fifth Street runs over the actual spot where the mansion stood." In 1902 Charles Hemstreet had summed it up very well in his When Old New York Was Young. "There are no longer green shores, with the house of Kip upon the hill. Simply a dingy edge of the city, lined with ships and shipping, and over all a constant and bewildering roar."